“No other season announces itself quite as ostentatiously as spring. Spring cannot be ignored. It is bold and full of hope. It is lively with birdsong and ripe with life. And the flowers, my goodness the flowers are everywhere! 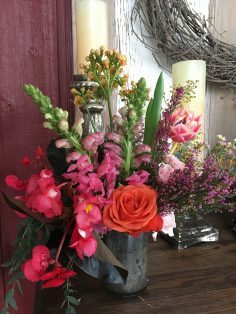 Flowers have been my livelihood back to the early 90s when I grew them for market on a farm in Dripping Springs. These days I prefer the subtle art of design and enjoy the creative freedom Wow Factor provides. As a florist I find it nearly impossible to get from point A to point B during this time of year without distraction. 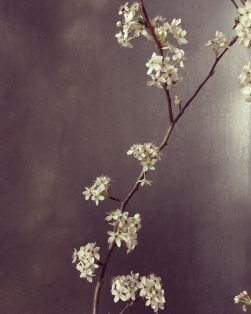 Wild plums burst into bloom along the waysides, antique roses climb over rock walls and stretch far into the trees, and wisteria appears out of nowhere and paints the previously barren landscape purple. I don’t go anywhere without my clippers and a bucket, and often can be found on the side of the road doing a little light pruning. Everyone I work with is used to me showing up, arms loaded with my latest roadside harvest, grinning ear to ear behind a bucket of branches and blooms. 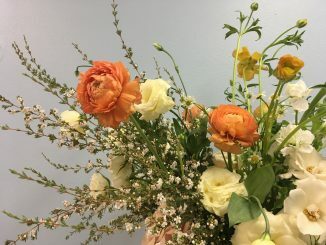 Of course, not everything can be gathered locally, but even the boxes arriving daily from the wholesalers tend to elicit more enthusiasm in the springtime. Many of the flowers we use in the industry are available year round, but there are still those sure signs that spring has sprung: blooming quince, peach, pear, and forsythia, spirea, lilac, daffodils, sweetpeas, clematis, fritillaria, lepto, and one of my all time favorites, boronia. Nothing makes my coworker Tina happier than a bunch of those hot pink bells. But let’s not forget the tulip. With the varieties available, you can find one for every palette, some so flamboyant they hardly resemble the old standards. 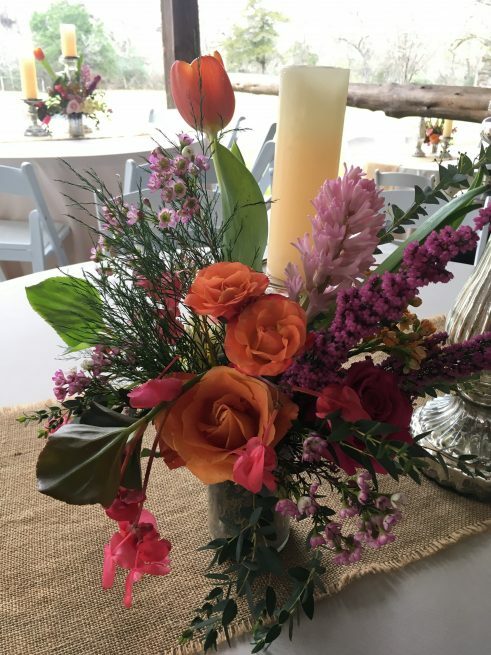 When it comes to flowers, Elizabeth definitely knows what she is talking about and as a professional florist, she is happy to help make all of your wedding floral designs come to life. 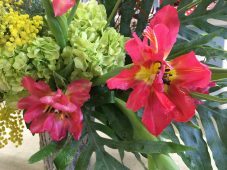 Find out more about Elizabeth and what she does best by contacting Wow Factor Floral Design! Happy Wedding Planning!